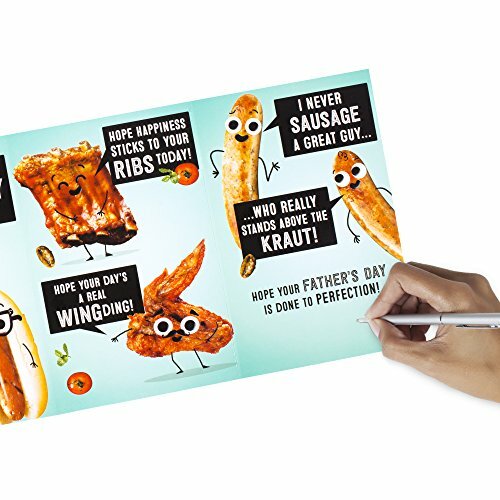 Front Message: Firing up some Father's Day wishes for the best guy you could ever meat! 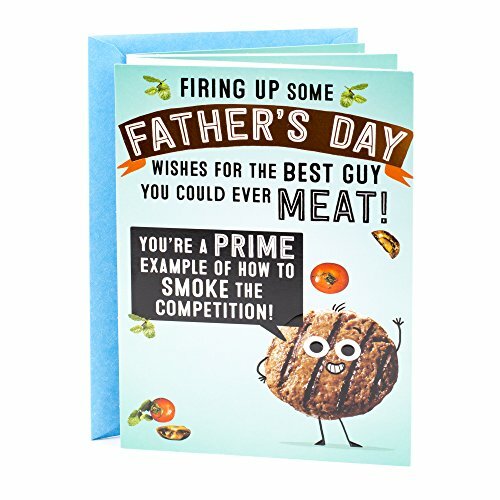 You're a PRIME example of how to smoke the competition! 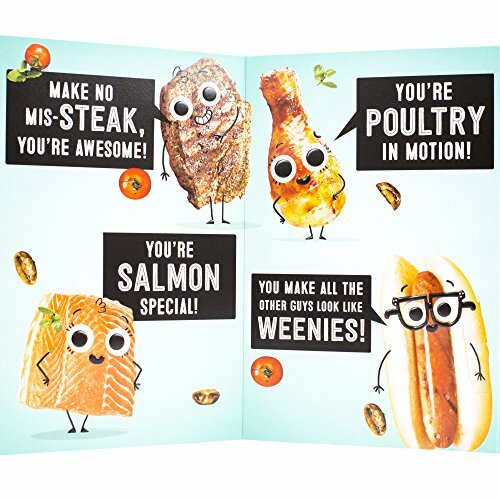 Inside Message: Make no mis-STEAK, you're awesome! You're salmon special! You're POULTRY in motion! You make all the other guys look like WEENIES! Hope happiness sticks to your RIBS today! 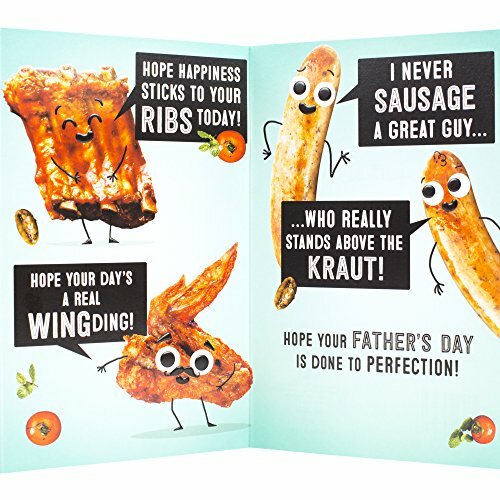 Hope your day's a real WINGding! I never SAUSAGE a great guy... .. 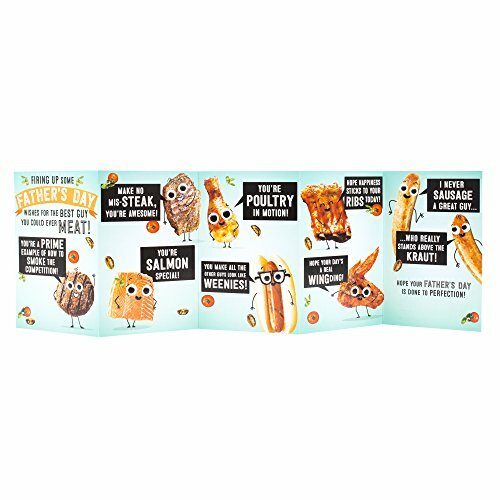 This card's design features cartoon meats with humorous puns.